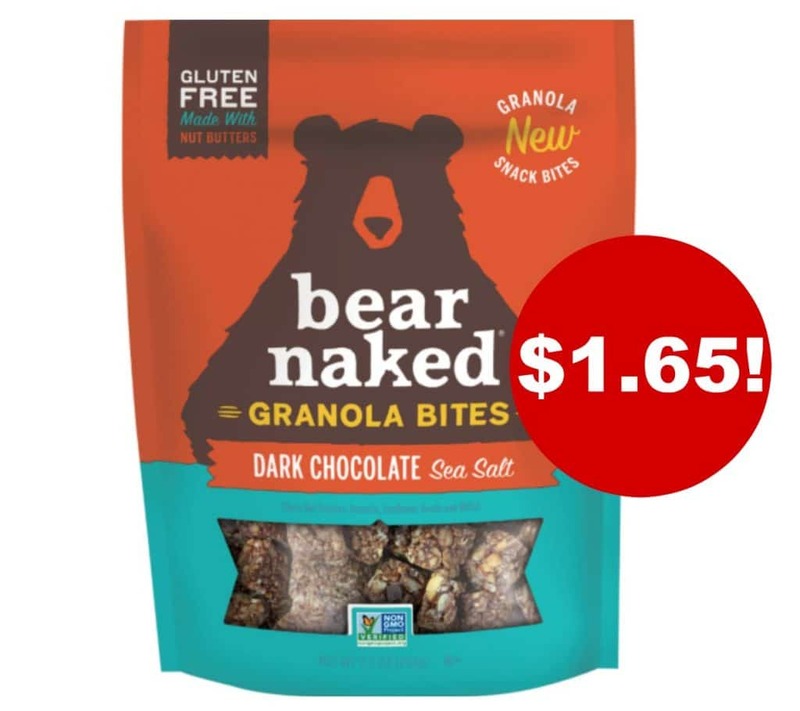 Here’s a brand new Bear Naked coupon, for their new gluten-free Granola Bites product (non-gmo too)! 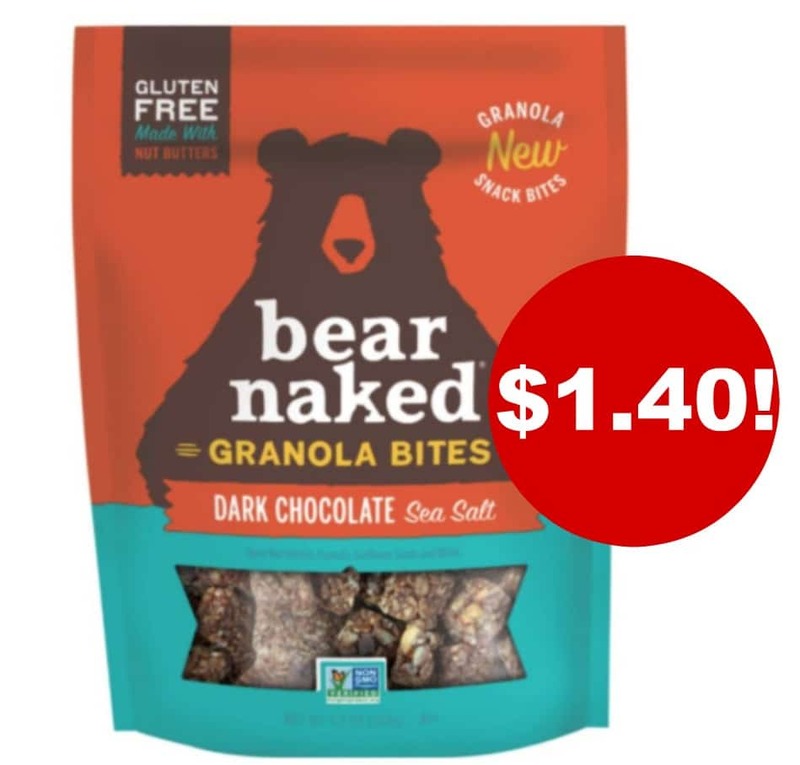 You can also still print this $1 off any 2 Bear Naked granolas coupon. 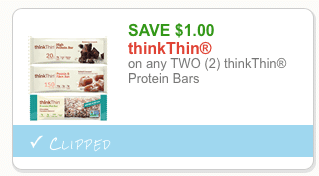 Here’s a new ThinkThin bars coupon! You can print two copies. Trader Joe’s sells ThinkThin bars for $1.69, so $1.19 after coupon! 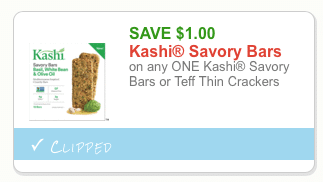 There’s a new $1 off any Kashi product CVS coupon that makes for FREE Kashi GoLean bars at CVS! 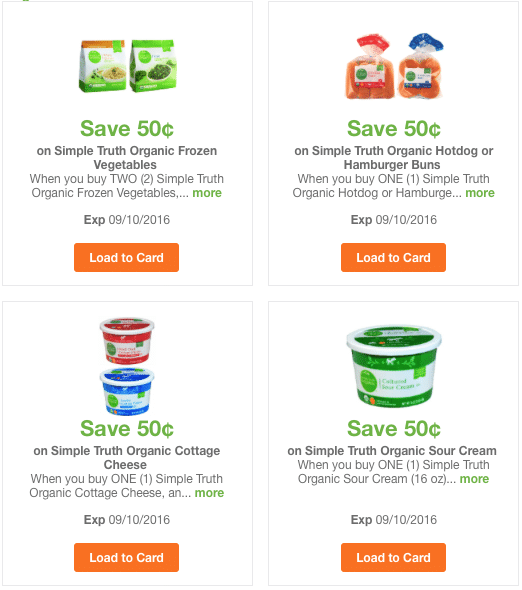 Kroger & affiliate shoppers- clip 5 new Simple Truth organic coupons! 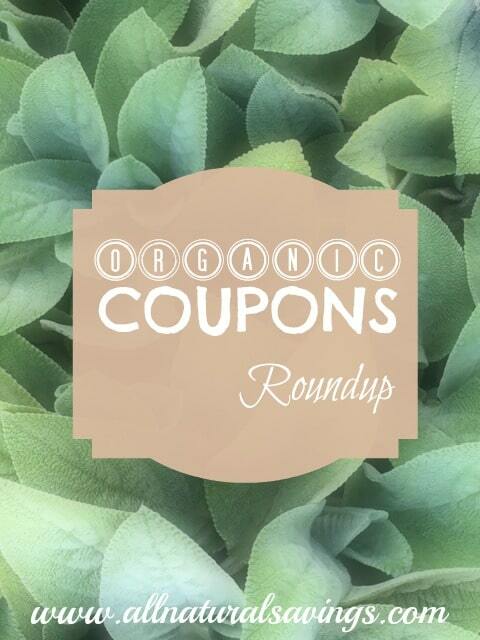 Just go here to clip the following coupons. 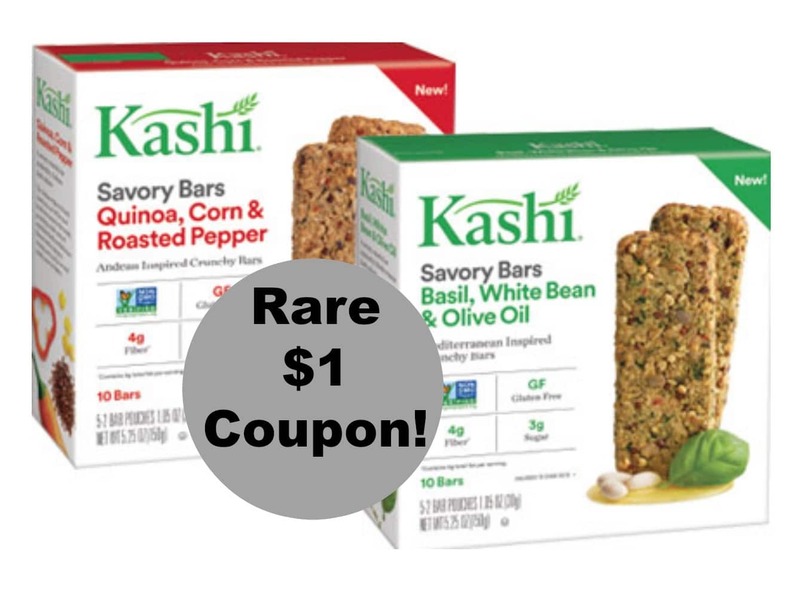 Here’s a rare new Kashi coupon! You can print two copies. 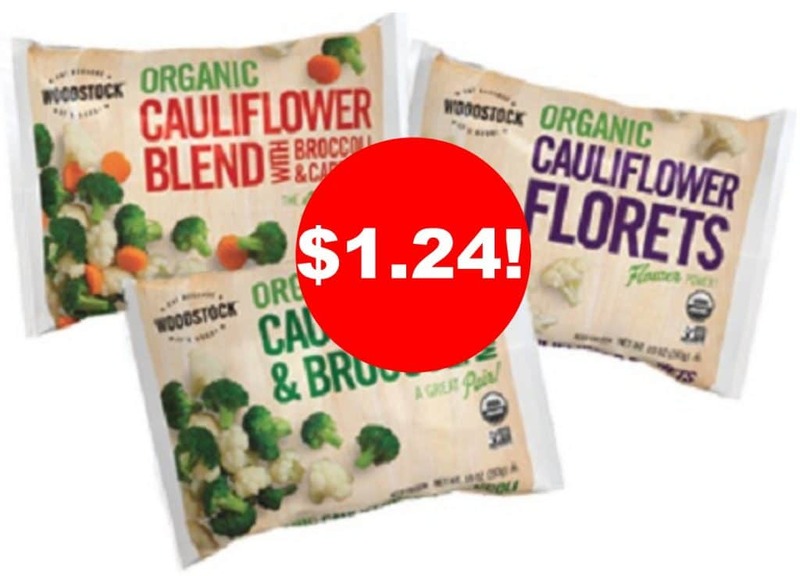 Target just released a new high value Woodstock organic frozen vegetable coupon that can be stacked with the current $1 Woodstock coupon for cheap bags of Woodstock organic frozen veggies! 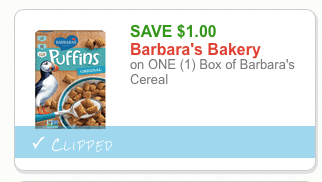 It’s been awhile since we’ve seen a Barbara’s coupon, so I’m happy to see this new $1 Barbara’s cereal coupon! 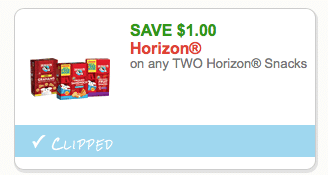 Here’s a new Horizon snacks coupon! 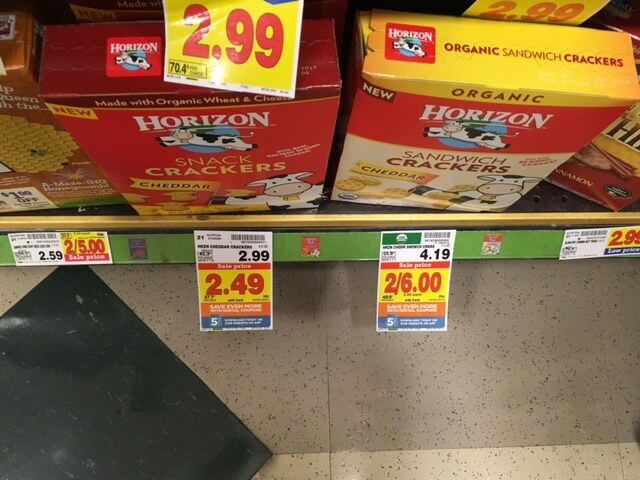 You can get some nice deals on Horizon crackers at Target & Kroger with this coupon.